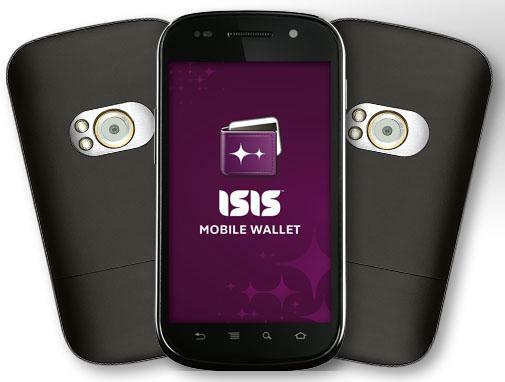 With T-Mobile announcing a software update for the Galaxy S II that includes “ISIS” details, the internet is abuzz with what exactly T-Mobile was updating. Thankfully, Bloomberg seems to have the answer with a report that ISIS’ CEO says to expect a September launch in two test markets. In fact, the two test markets, Austin, Texas and Salt Lake City, Utah are the very same markets we discovered as T-Mobile’s own test markets back at the end of July. The mobile payments concept is compelling, and T-Mobile is participating in the Isis joint venture to make that a reality. But NFC can simplify much more than purchases. Let’s take a look at three exciting opportunities for NFC — beyond mobile payments. Your wallet. With Isis, you won’t have to carry around a physical credit card, but there’s a lot more in your wallet that can possibly move onto your phone with the introduction and adoption of secure NFC services — things such as reward cards, membership cards and even your personal ID. It also can become a compelling way for merchants to share offers and discounts. Your key for access and content. With NFC, your phone has the potential to replace your keys and your tickets, and NFC tags can let you access and download rich content. Your command center. NFC has the potential to automate common tasks and commands. For example, imagine getting into your car at the end of the day, and, with a simple tap, your phone knows to bring up a traffic map and send a quick text message to your family members letting them know you’re on your way. When it comes to devices, Mastercard has already given their blessing to T-Mobile on three devices, the HTC Amaze 4G, Samsung Galaxy S III and Samsung Galaxy S II. We expect more approval down the road, especially given that the Blackberry 9900 and Galaxy S Blaze 4G each include NFC capability. With three national carriers behind ISIS, we have high hopes that it will succeed where Google Wallet is currently struggling to keep its head above water. NFC may very well be a major part of our mobile future, and it’s now up to Verizon, AT&T and T-Mobile to try and prove that. Great work david you are always at work . But who is going to use it? Who is going to support it? It’s not the carriers that need to support it. It’s the local point of sale retailers. When you have 3 of the 4 major carriers leading the way, it shouldn’t be difficult for them to find partners. Wallet may not even last on Sprint so therefore NONE of the 4 carriers would be offering it. i totally understand what you are asking. if you (the consumer) are attaching a credit card to the isis system why does tmobile have a say what phones get the capability. actually tmobile has attached your credit rating of your account, bi annual random credit checks to give you additional spending limit towards your t-mobile phone bill. As stated, Mastercard is the primary support, you won’t be able to attach just any credit card ie view google wallet terms. so if you don’t have select MasterCard or its at its limit, a carrier will strike a deal and based on your credit score, you can go ahead and charge your t mobile account instead like a charge card, using the term “charge card” where on the next bill your must pay it all in full with your regular phone bill. t mobile would solely like to advance at this opportunity because it will obtain more long term loyal customers. (i don’t speak on behave of any carrier or isis, but this is a general modernization of the payment system infrastructural with isis and telecom giants.) imagine trade between you an another person its just a matter of placing your phones back to back to make a payment or receive your payment in trade of product or service. a system must be setup so your carrier is banking on that idea and has heavily invested in this technology and security software; that is why they have say in which phones get the support at debut of course its for devices with NFC built in only. Completely missing my point. My concern isn’t about the carriers and their need to be involved. On the consumer end when it comes to actually making use of the service, that’s irrelevant. Unless you live in Salt Lake city, or Austin, TX, and even there support is limited, There is no one who uses the service or will for some time. Without convincing retailers, not carriers, that they want this service it will remain useless and unnecessary. Discover Zip (Pay wave, etc) work just fine without needing a special device with network access. Talk about over engineering. Someone remind me why I need my carriers permission to do a mobile wallet solution on my phone? Because they are taking a cut. I’m gonna assume that Sprint doesn’t take a cut from Google Wallet but I could be wrong. You sound pretty confident. So what percentage does Sprint get? lol @ that back camera. Well, if the Amaze 4G is supposed to get it, that means that a software update would be on the horizon. Hopefully they’ll take that time to fix all the WiFi and WiFi calling bugs. All those bullet points are already features you can get in an app. That last one is stupid. I can just hit Goole voice commands and tell it to send my family a text that I’ll be home in 10 minutes. Not going to use ISIS on principle, I’ve got two NFC phones (AT&T Galaxy Note & T-Mobile Galaxy SIII), both with Google Wallet installed and I’m not able to actually use Wallet on either because the carriers are blocking it. Can I install Google wallet on my SGS2? As a principle, I do not go for a product that is a forced choice provided. The consumer should be the one to decide between Google wallet and the ISIS system. Google should sue the phone companies for collusion and anti-competitive behavior. As a protest I will not use the ISIS until I have a free choice to determine which among the NFC is better for my usage.